A 65-year-old chemical provider in Buffalo wants to build a materials storage facility next to its main operation in the Babcock neighborhood. 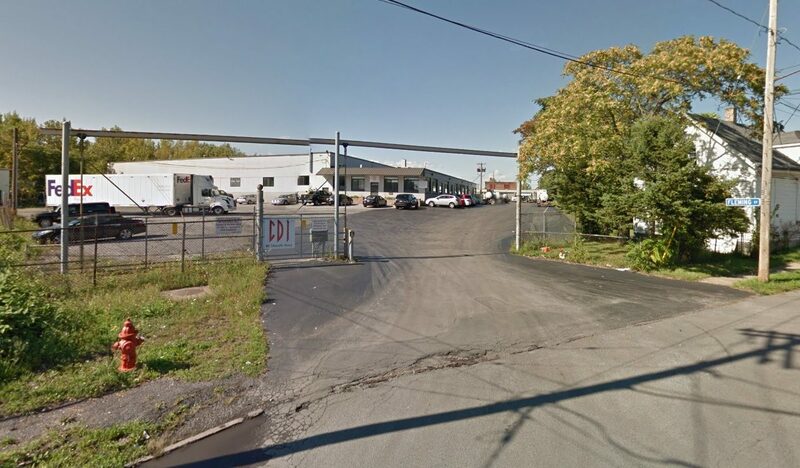 Chemical Distributors is seeking permission from city planners to erect a 12,000-square-foot light industrial warehouse at 46 Metcalfe St., near the intersection of Clinton Street and Fillmore Avenue. The $1 million chemical facility would include two loading docks and 2,000 square feet of covered outdoor storage on what is currently a 0.85-acre paved truck parking area. A bioretention basin is also planned, but officials stressed in their application to the city that no chemical processing is planned for the steel-panel building. The proposal will be reviewed by the Buffalo Planning Board at 4 p.m. Monday. If it is approved, construction by the Allen Group would begin in May and finish by October. CDI operates from an 82,000-square-foot facility on 6.3 acres of land. The company, which added an 18,000-square-foot warehouse in January 2017, maintains multiple tractors, trucks, tankers, heated trailers, standard trailers and storage tanks for various inorganic industrial chemicals. The company delivers industrial, high-purity, food-grade and kosher chemicals to customers in the eastern half of the country. It also provides custom blending of chemicals. Eran Epstein's proposed conversion of former Fedders Manufacturing Works and Fedders Automotive Corp. building at 57 Tonawanda St. in Black Rock into 80 apartments and mini self-storage units. Larkin Development Group's $19 million plan to construct buildings on Seneca Street to bring more residents and shops to Larkinville. The projects include a two-story building at 872 Seneca anchored by Paula's Donuts, with four apartments above; another two-story building next door at 864 Seneca with ground-floor commercial space and two apartments; and a five-story building on a gravel-covered vacant lot at 799 Seneca with five retail stores, 50,000 square feet of office space and 70 apartments. Special-use permits to open Sam's Pizza & Restaurant shop at 1393 Kensington Ave.; convert a former bank into a banquet center, arcade and an indoor amusement facility at 2008 Genesee St.; open the Riverside Bar & Restaurant at 1125 Tonawanda St.; relocate the BC Automotive car repair shop to 14 Knox St.; and convert a first-floor storage space into an 80-seat restaurant and bar at 1469 Niagara St.